Many dog owners may wonder whatever happened to their adorable puppy who used to listen, follow them room to room and looked forward to a fun training session. Suddenly, they are faced with a multitude of behavior problems that were never encountered before. Did Rover just transform himself into the canine personification of “Dennis the Menace?” In reality, what’s really happening is these dogs hit the doggy adolescence stage, yup the infamous rebellious teenager phase affects dogs too and it’s often when things start to get challenging. Knowledge is power though and being aware of this stage and knowing how to tackle it can help you survive in flying colors. All dogs go through the adolescent stage, the only difference is that in some dogs this phase is mild or barely noticeable (lucky owners! ), while in others it almost becomes unbearable. Generally, how it affects dogs and dogs owners seems to vary on an individual basis and its impact may also depend on how dog owners tackle it. Generally, dog owners struggling already with puppy behaviors may see a two-fold increase once the adolescent stage is around the corner. The adolescent stage in dogs is a transitory time during which dogs start looking more and more like adults but their brain may still retains some puppy-like behaviors. 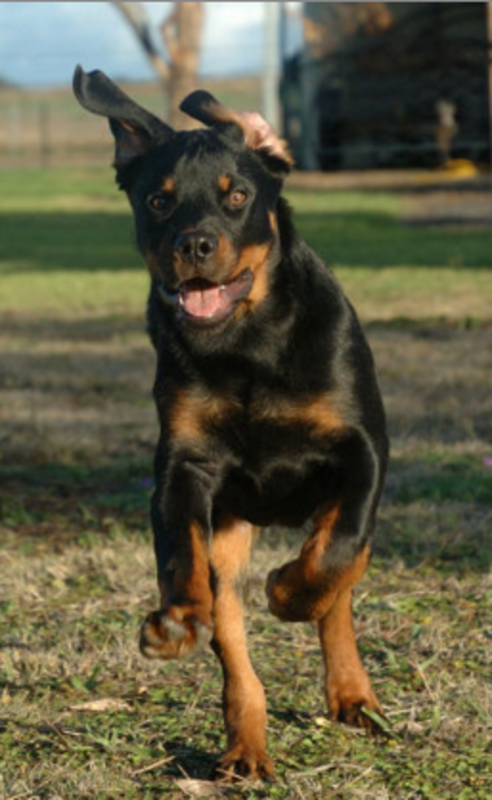 When dogs hit the dog adolescent stage, dog owners must therefore be prepared for the many physical and behavioral changes that will take place, as the dog’s body becomes populated with powerful hormones. Several physical changes take place during a dog’s adolescent stage. The adult permanent teeth come in (move over puppy teeth!) and with this comes a renewed interest in chewing. The puppy coat may start to shed out which in some breeds translates into massive piles of hair (get ready for making vacuuming your favorite pastime) and large dogs go through that gangly stage during which they reach their adult height but move around awkwardly. Yes, this is when running around and jumping around the house is no longer cute due to the “bull in a China shop” phenomenon! During the adolescent dog stage, the dog’s head broadens, the muscles and bones becomes more strong and the reproductive system is in full swing to make these dogs suitable for raising the next generation of dogs. As the body prepares for reproductive success, female dogs will go through their first heat (estrus) which generally happens on average around 6 months and male dogs will respond to the release of powerful pheromones given off by these gals. Did you know? As adolescent dogs go through rapid growth, they may develop mild or even severe pain. See your vet if this happens as some dogs may require medication or even surgery, while in others it may be self-limiting, explains veterinarian Dr. Frank Utchen. 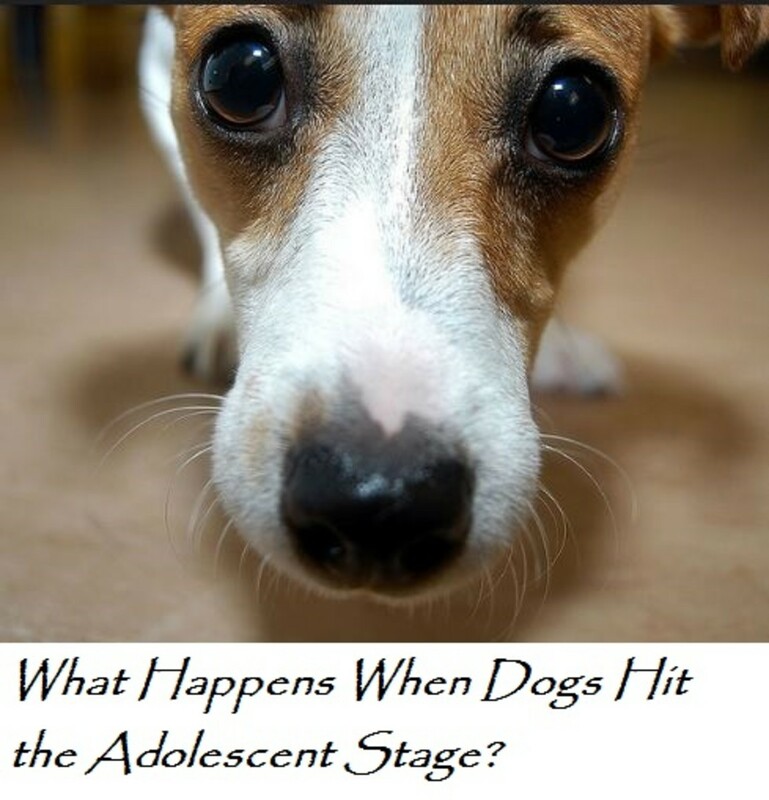 Several behavior changes take place when dogs hit the adolescent stage. Male dogs, which undergo a testosterone surge between 5 and 18 months, may become interested in marking their territory, but not all seem to follow a specific time frame as to when they start lifting their leg. Generally, this behavior is the result of watching other dogs who act as “doggy leg lifting” role models. Mounting, roaming, urine marking and sniffing around may seem to be these dogs’ favorite pastimes. Behavior changes may be more prominent in male dogs, but female dogs are subject to them too. Female dogs will come into their first heat which lasts about three weeks. She may become flirty during this time and urine mark so her powerful pheromones inform male dogs about her availability. Along with these behavior changes, come some bratty behaviors that irritate owners the most such as ignoring the owner, becoming more confident, having little impulse control and being more interested in the outside world than anything else. Puppies who seemed to be well house trained, may regress leaving around “accidents” for the owners to pick up. 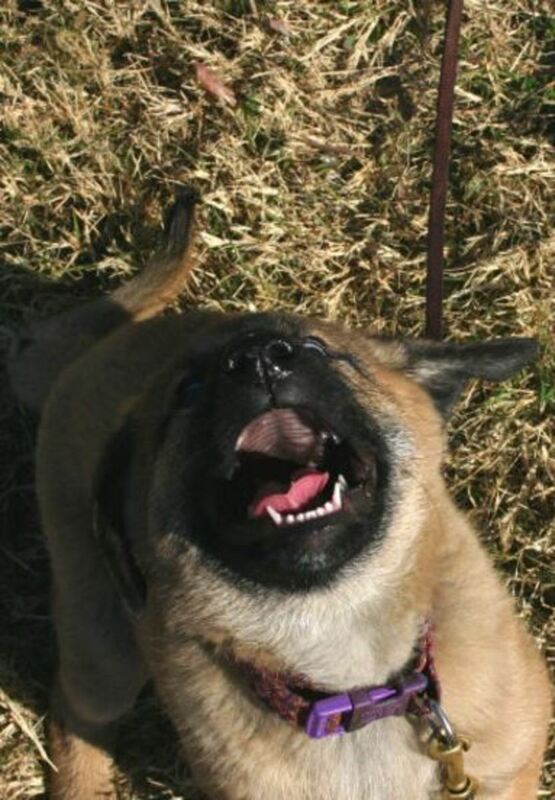 Some dogs become fearful and reactive towards stimuli that weeks prior didn’t seem to bother them. At the dog park, adolescent dogs may no longer get along much with their pals, as they become more and more selective on who to consider friend or foe. Along with all that, comes the topping on the sundae: an abundance of energy which often leads to increased chewing, digging, barking, pulling on the leash and other undesirable behaviors. As the saying goes. “idle paws are a devil’s workshop” when it comes to bored, under-stimulated teenager dogs. In nature, adolescence coincides with the time animals must make important decisions and must become more independent so to raise their own families.While to many this may appear like a rebellious, testing stage, dog owners shouldn’t take it personally; in reality it’s just a dog’s way to follow the course of nature. The onset and end of this stage is a bit blurry to outline as it doesn’t begin or end abruptly and it varies from one dog to another. Generally speaking, dogs hit the adolescent stages between the ages of 4 and 6 months of age. 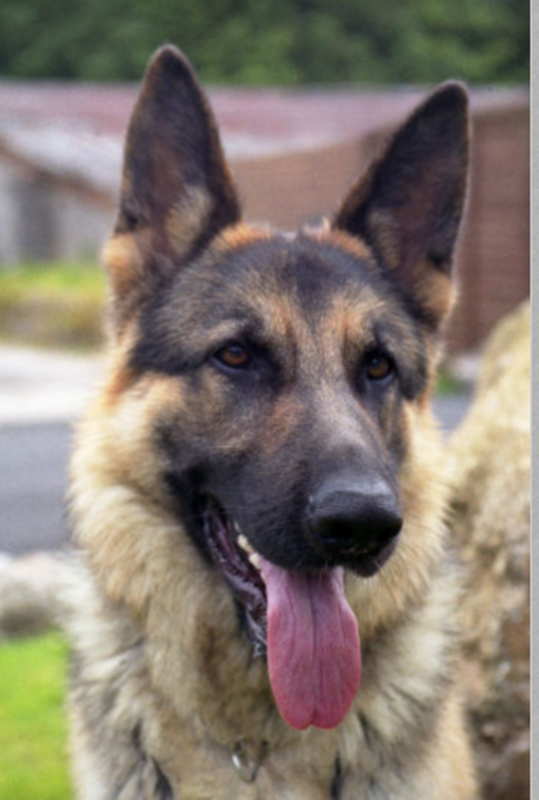 Its duration though seems to vary as social maturity is reached at different times in dogs of different breeds and sizes. Generally, in small dogs dog adolescence generally lasts up to when the dog reaches 18 to 24 months, while in large dogs it can linger around up to when the dog is 36 months old. Did you know? The majority of dogs surrendered at the shelter are in their adolescent period. Dogs who aren’t surrendered are often sadly banished to the yard where they are left with no guidance and are set up for failure. Don’t let this happen to you! Knowledge is power. Many dog owners relinquish their pets to shelters or banish them to yard because they have failed to understand the needs of these dogs during this stage. Here are a few tips to help you survive your dog’s adolescent period. The good thing about dogs is that their behavior is prone to changing; indeed, we can say that dogs are in a constant state of learning and that encompasses good or bad behaviors. Whether the dog learns to engage in good or bad behaviors is to a great extent really up to us. The plasticity of a dog’s brain makes it possible for dog owners to morph undesired behaviors into desirable ones, especially with early intervention. 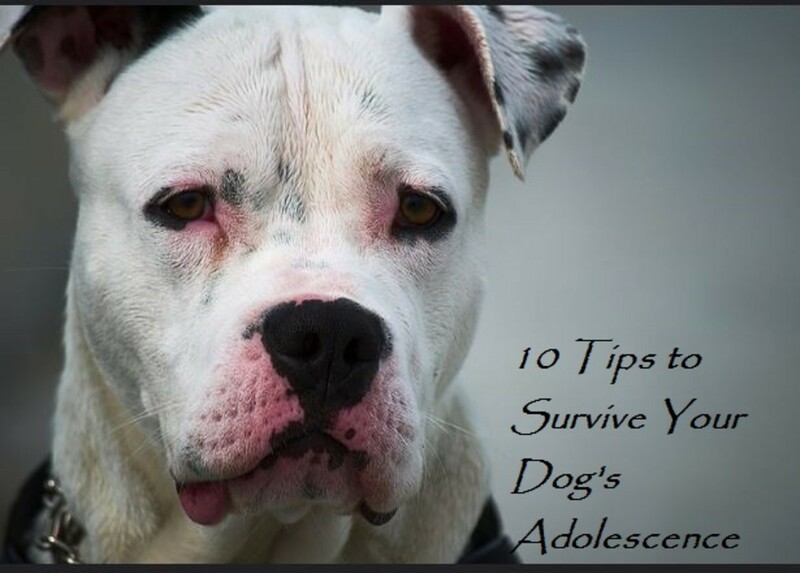 So here are 10 tips to help you survive your dog’s adolescence. Socialization is not only for puppies! Adolescent dogs need to continue to be socialized. Yes, there is such a thing as “de-socialization” which happens when dogs are walked on the same routes and only allowed to meet a small circle of people. After some time, “Mr. Social” takes a turn for the worse and starts becoming tense and wary when he meets unknown people or is exposed to situations or experiences he hasn’t been through for a while. Training doesn’t stop at puppy classes. Get your adolescent dog enrolled in basic obedience and then continue his education with advanced obedience, trick training or other obedience-based activities such as Rally-obedience or Canine Musical Freestyle. Consult with your vet on when it’s a good time to start any doggy sports or take your dog along for jogging. An adolescent dog’s bones and joints are still developing and their growth plates still have to close. Intense exercise on hard surfaces may have permanent negative effects. Reward all those calm behaviors as they unfold and don’t forget to use all those life rewards that are in front of your nose! Polish your adolescent dog’s recall. While when your dog was a puppy loads of praise and a gentle pats may have been enough, now is the time to get out those high-value treats to make yourself more interesting than any surrounding stimuli. Ensure you meet your teenager dog’s exercise needs. Twice-a-day walks of at least 20 minutes each may be necessary. Fun games and outdoor activities will hep your dog’s body and mind healthy and happy. Provide plenty of chew toys to keep those jaws busy. Make it a habit of rotating them so that your dog gains a renewed interest in them when not seeing them for some time. Keep your dog’s brain mentally stimulated with challenging puzzles, brain games for dogs and interactive toys. 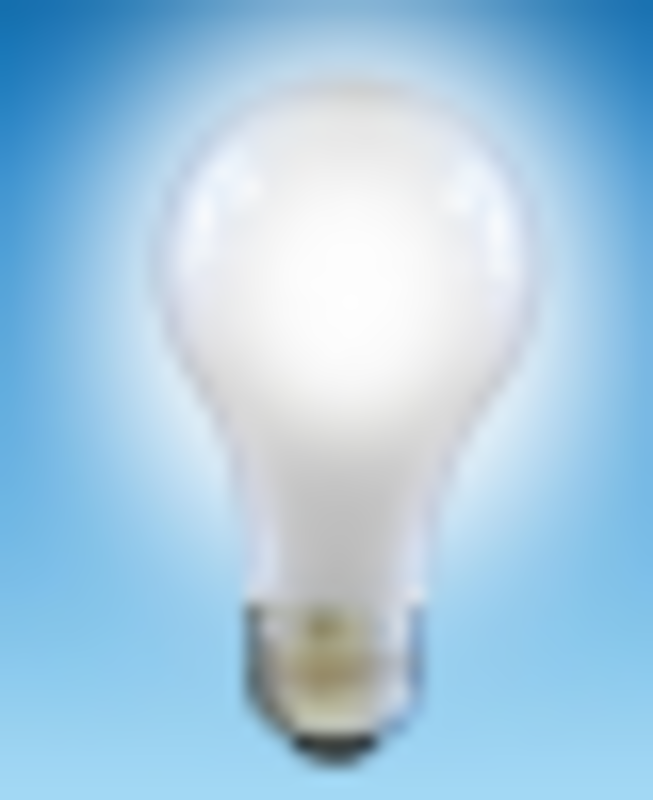 See a behavior consultant sooner than later if you there are behavior problems you need help with. Behaviors nipped in the bud are more likely to be reversed or at least prevented from becoming worse before they get out of hand. Last but not least, be patient, consistent and understanding during these trying times. Your effort will be paid off once you start seeing that light at the end of tunnel!